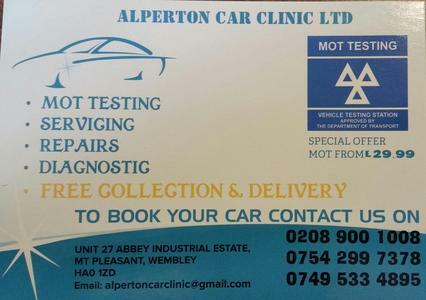 Our garage is based in Wembley, and can carry out almost all servicing and repair jobs. Our technicians are all qualified to a very high standard and have many years of experience behind them. We are more than happy to work with almost any make and model of car so feel free to get in touch to request a quote! We pride ourselves on offering very competitive prices whilst maintaining the highest level of customer satisfaction. This is paramount to us as we know that to run a successful business you require happy and returning customers. Although we are new to this website, we hope that you will take a chance on us - you won't be disappointed!